What does public relations for real estate look like? It’s when an agent is quoted as an expert on the local housing market for a newspaper. Or an agent writes an editorial for a financial news section on why renters should consider buying. Or a local news station covers a fundraiser hosted by a real estate broker. All these are examples of public relations for real estate and how it works. 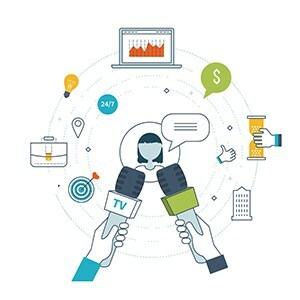 Public relations is a strategic communications process that builds mutually beneficial relationships between organizations and their publics. PR is not to be confused with free advertising or sending out press releases. And while you may not pay for public relations the way you do for your marketing, it does require a significant investment of your time and energy. Public relations for real estate can be more effective than marketing at times because it portrays you as an expert by a third party. It provides validation of your credibility and expertise as a real estate agent. 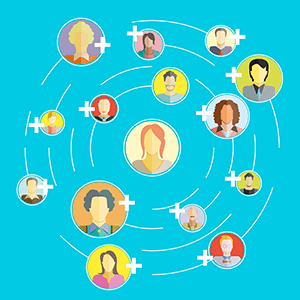 It’s more subtle than advertising and very effective in establishing trust with social proof. How can you be a newsworthy real estate agent? The fact is, most reporters would love a story to fall into their lap with a bow on top. And they’re more likely to embrace your story if you do most of the legwork for them. Many reports will have a story idea, but need an expert to quote or provide background. One source you can tap into is called HARO, or Help A Reporter Out. This free service allows you to receive alerts when reporters need a subject matter expert in a certain field. You can sign up for alerts about real estate or your local area, and begin to cultivate connections with those journalists. Another technique to finding public relations opportunities is to create a Google Alert. These are free notifications from Google that let you know if an article is published on a certain topic. You can create alerts based on phrases that include your local area and phrases such as “real estate,” “home sales” or “home buyers.” Once you get these alerts, you can share them on your social media channels. Then take note of the writer and publications, adding them to your list of potential media contacts. The more you know about the media outlet, the more likely you are to be a good fit! So make sure you know what the publication is about? What topics does this particular writer cover? What is their voice like — is it professional, funny or data-driven? How do they like to be communicated with — email or phone calls? What’s on their editorial calendar? Is there a special issue coming up that you might fit into? Include a personal note to express that you understand their voice. State the reasons why the idea is relevant to their audience. Outline the key points of the story to hook them. Add any other links for context. Mention who you can connect them with. Make sure your contact info is easy to find. Onboardly has an excellent guide to getting a reporter to read your email based on the subject line alone. Pitch between 7-9A if you have immediate news. Editorial meetings are typically at 9:30A ET or 7:30A PT. Otherwise, consider pitching after 3 PM. Mondays and Wednesdays tend to be busiest. Fridays are used for planning. Pitch at least a week in advance. Andrea Geller: Are you chasing leads in real estate or cultivating clients? New feature for Adwerx listing ads: Just Listed, Just Reduced, Just Sold!